Simryn Gill is one of Australia’s leading artists. She explores the contemporary postcolonial condition and our experience of place, history and culture through various media but has a particular affiliation with the photographic medium. 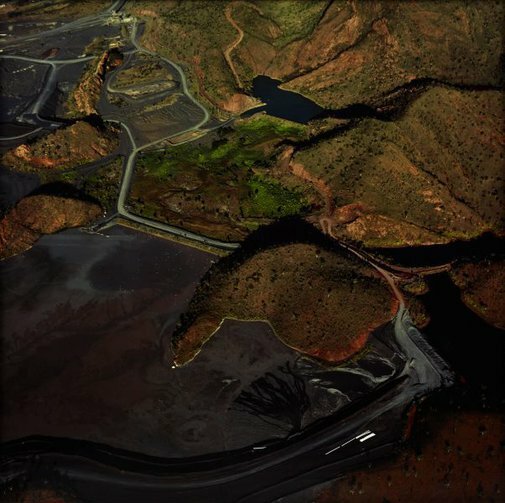 In Eyes and storms, the series from which this work derives, Gill has photographed pit mines, dams, remote lakes and waterholes to afford the viewer a unique aerial perspective. 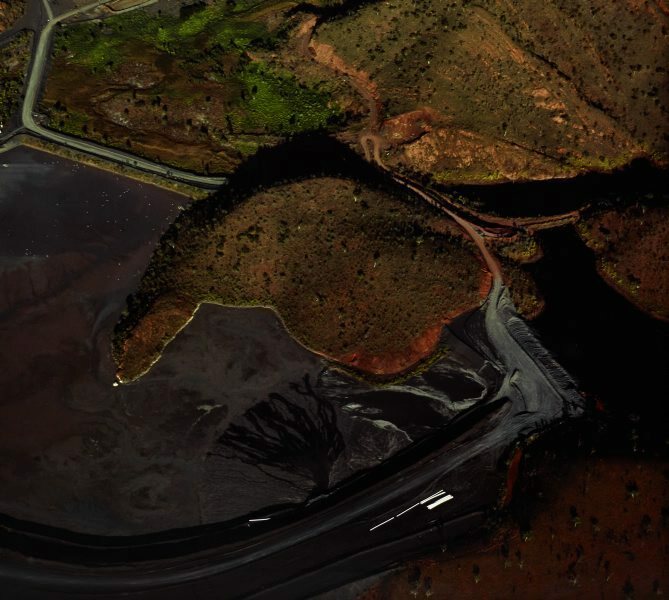 Seen from above, having been shot from a small plane, the images maintain an intimate connection with the land. 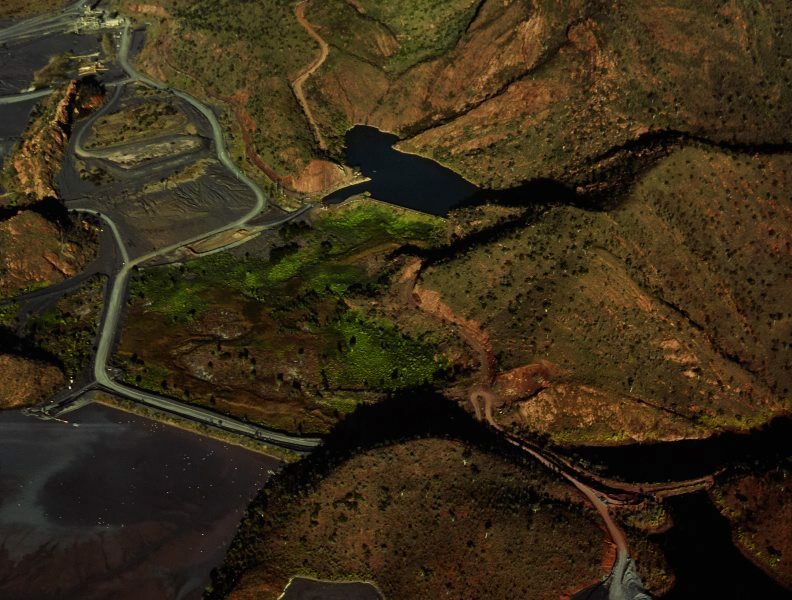 It is from this elevation that the open pit mines appear as orifices on the surface of the earth, or as the artist alludes to in the work’s title, eyes in the landscape. In keeping with the concerns of her previous work, the photographs bring nature and culture together in a way that assertively shifts the thresholds between the two. The ruinous effect of human intervention into natural processes is evident in the deep striations and faults in formation. In Eyes and storms the scars in the landscape are presented not only as a sign of disturbance but also possess alarming beauty.